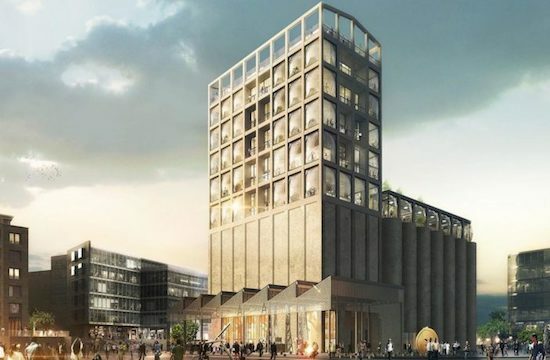 Both the Zeitz and the Empower Shack project have been included on a list of 62 of the world's best new buildings drawn up by the Royal Institute of British Architects. Along with the other projects on the Riba International List 2018, these two local buildings have been described by Riba president Ben Derbyshire as the world's best new buildings showing "most impressive architectural talent". "This significant selection of 62 projects illustrates the meaningful impact and transformative quality that well-designed buildings can have on communities, wherever they are in the world." The shack project is being developed by Ikhayalami, an NGO focusing on housing innovation in informal settlements, and the Urban Think Tank, based at the Swiss Institute of Technology, ETHZ, in Zurich. So far 19 houses have been built in Khayelitsha's BT Section, and phase two will see another 20 houses go up. A third phase will include 33 buildings. The original concept was simply to upgrade shacks into timber-framed double-storey structures clad in galvanised zinc sheeting, says Andy Bolnick, founder of Ikhayalami. But after consultations with the City of Cape Town, the design was amended to include concrete-block walls to prevent fires spreading, and a concrete slab floor for the first floor, also a fire-prevention measure. Bolnick says the houses are arranged around a sanitation core which provides water and toilets on site. The houses come in different models, ranging in size between 40sqm and 88sqm. "We provide running water, toilets and bathroom, and the rest is left for the occupant. We don't want to be prescriptive. 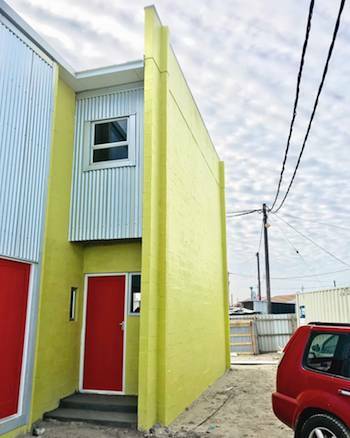 The project has essentially taken its lead from what shack dwellers were already doing."